RARE! MEDIUM! WELL DONE! 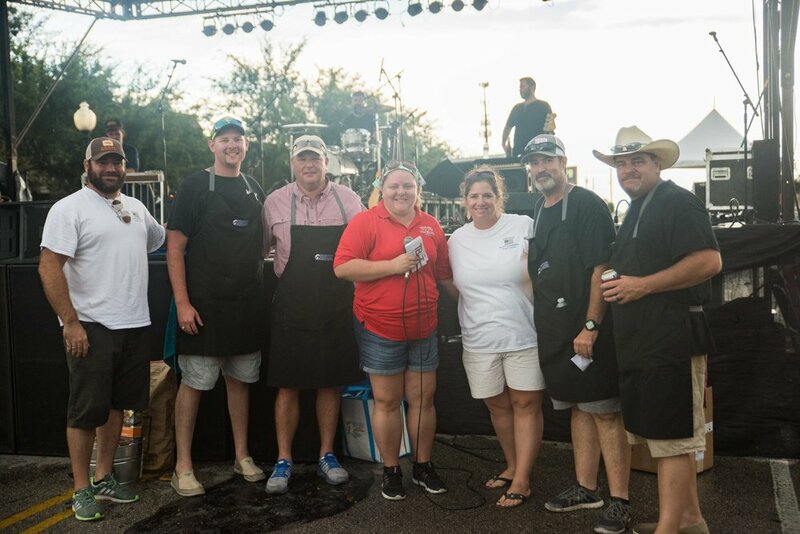 On Saturday, teams from across the state will grill up delicious ribeyes or yummy beefy appetizers to compete for the title of Grand Champion! 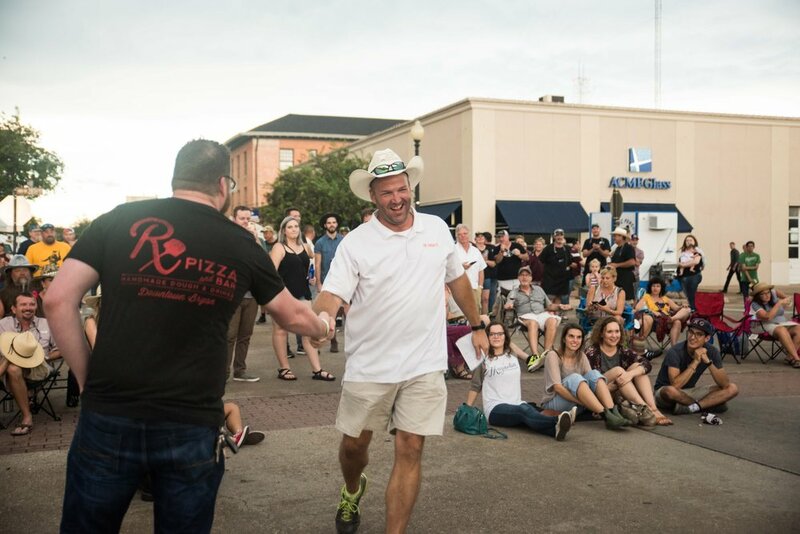 If you think you grill the best beef in Texas, sign up now. You could win $1200! 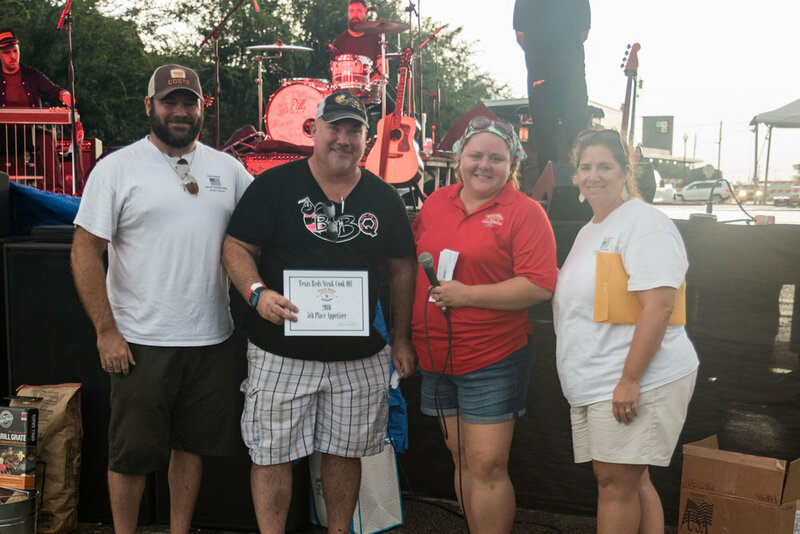 2019 Steak Cook-off applications open may 1! 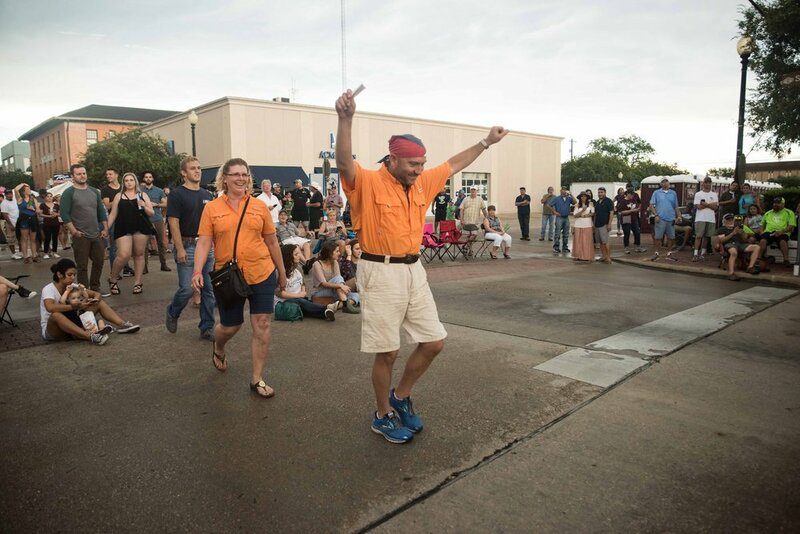 Dexter & Co. Insurance has added $1000 to the cookoff prize money! Entry fee starts at $150. Texas Reds will provide the steaks and teams will turn in 1 steak. Steaks will be judged for appearance, doneness, taste, texture and overall impression. Taste will be the first tiebreaker, texture will be the second. Head cooks meeting is at 9 a.m. Steaks will be given out at 9:30 a.m. after the meeting. Competition steaks will be accepted between 1:30 p.m. and 2:00 p.m.. 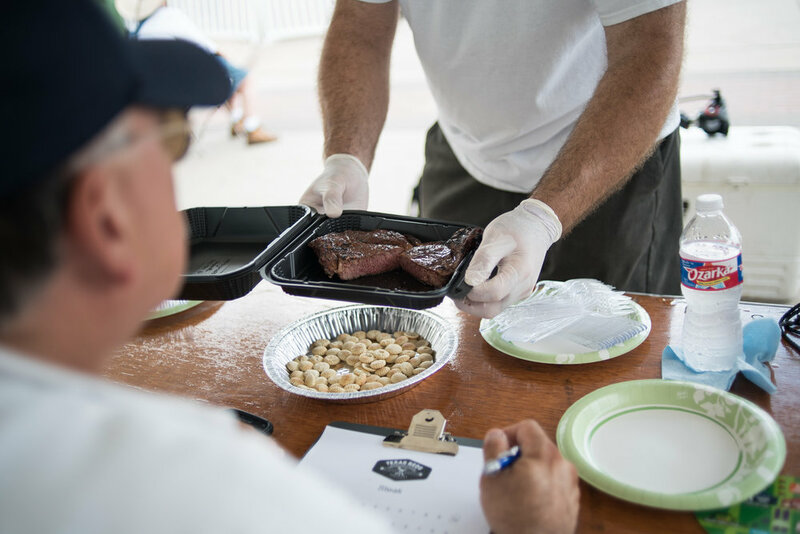 Steaks may not be removed from your cooking booth; any violation of this will result in immediate team disqualification from the competition. 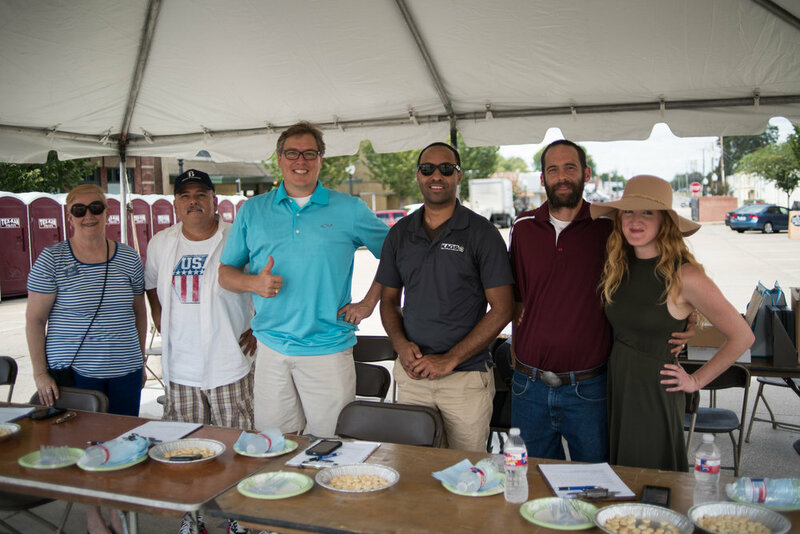 If participating in the competition appetizers, they will be accepted between 11:30 a.m.and 12 p.m. Steaks are to be submitted whole; we will slice them as they are submitted before submitting to be judged. The cooking teams need to provide all seasonings and “secret ingredients”. No illegal substances, chemicals or drugs can be used. Steaks cannot be branded on injected. NO garnishes should be on the steaks. All steaks are to be handled in a sanitary manner. Plastic gloves are to be used in handling the steaks at all times. Proper food handling procedures must be followed. Grills will be inspected for cleanliness before cooking. Unclean grills will be rejected. Cooking teams are responsible for providing tables and chairs they might need at their cooking area. A minimum 5 lb. ABC rated fire extinguisher must be readily available to each cooking team. All tents and canopies need to have certificate of fire retardant. No more than (4) four cases of beer per team may be brought into the festival. Additional beer may be purchased in the festival. No other alcohol is allowed. These are for your consumption. Do not distribute to festival guests. Ashes will need to be contained in the event ash barrels. If you apply and pay for 1 10x20 space you are able to submit 1 steak to the judges. This is the same even if you pay for 2 or more 10x20 spaces. If you wish to submit additional steaks to the judges, you must apply and pay an additional application fee under a different team name. Entry fee is $50. Must also be registered for steak cook-off. Competition appetizers will be accepted between 11:30 a.m.and 12 p.m.
Appetizers must contain beef. Beef is NOT provided by the Festival. Appetizers must be cooked on the grill. Appetizer plates may include small disposable cups for sauce/dips. Toothpicks or skewers to hold food items together are allowed. All other items in box must be edible food items. We will be judging food ONLY. No prop decorations are necessary and will not be considered when judging. No team branding on or in box. Appetizer must be turned in using provided plate and lid must close. You must turn in minimum 7 pieces or cut bites for judging. Appetizers will be judged on Appearance, Taste, Originality and Overall Impression. Taste will be the first tie breaker and originality will be second tie breaker.